Don't you hate it when you can't find your keys? Or you can't find that piece of paper that you had something written on. I do too. So I was in Crazy Clarks and I saw a great little basket. 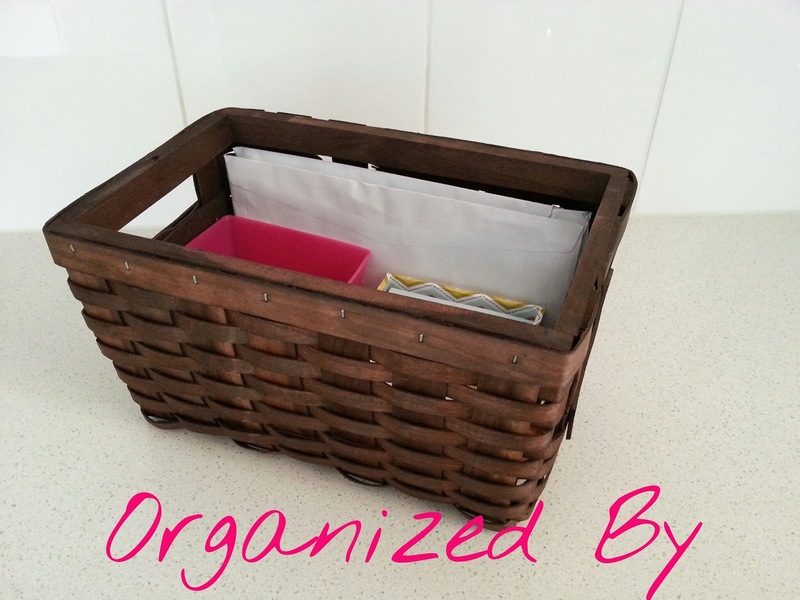 They have some great baskets and they are cheap. 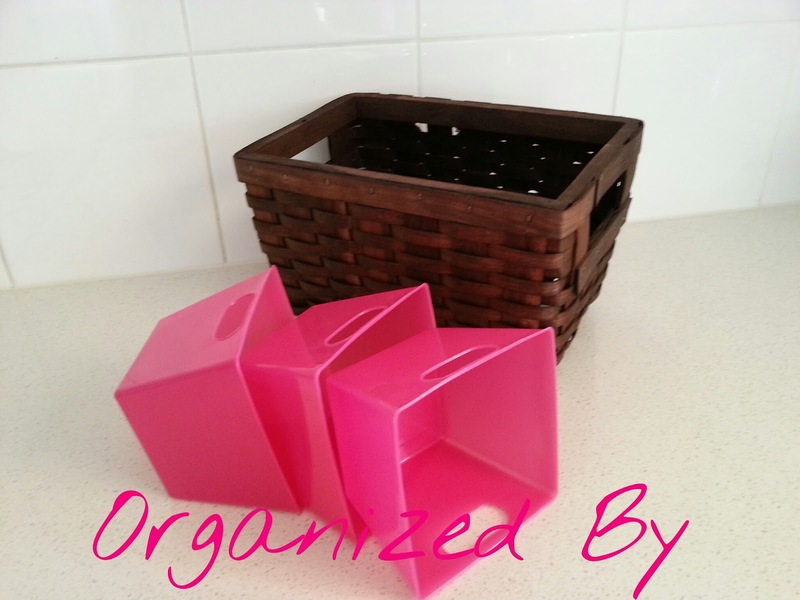 I also got some little pink square containers as well. They came in a three pack. I only needed one so I added the other two to my collection. 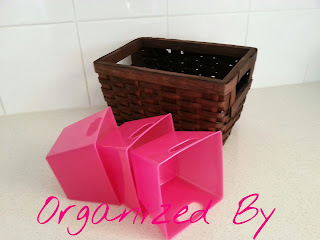 So I put one of the pink containers in the basket and some note paper that I already had. A pen as well. 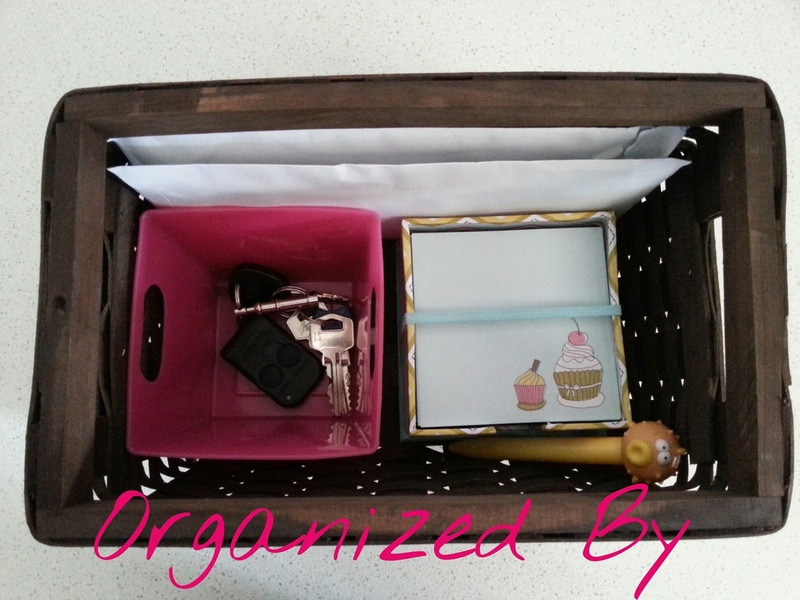 With these side by side there is enough room behind to put mail, bills or any random pieces of paper that you need to keep and need a home. I'm so happy with my little basket. I usually go through all my papers about once a week and toss what I don't need or file what I want to keep. I guess this is their halfway house. Im very happy with the finished product. It's all contained and it looks pretty. Because we love things that look pretty don't we? So as you can see you don't need some grand set up to keep your every day things organized. How do you keep your bits and pieces organized?